California star closes in on national triple jump record. Could it happen at Arcadia? Jumper and a 13.50 hurdler” on the top of each page in her daily diary. compete in the Arcadia Invitational this weekend. taking up the sport in high school three years ago. USATF Junior Title to earn a berth in the IAAF World Junior Championships in Beijing. where she will train under the guidance of Bobby Kersee. school coach Curtis Taylor said. The triple jump and the hurdles have complemented one another and been a distraction to Richardson. jump. 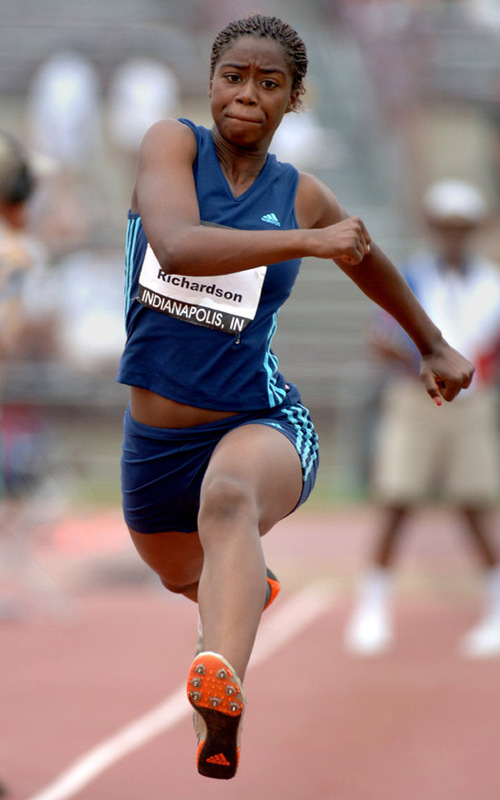 However, Richardson has frequently had to compete in the events simultaneously. including the national-record effort in the sixth round.